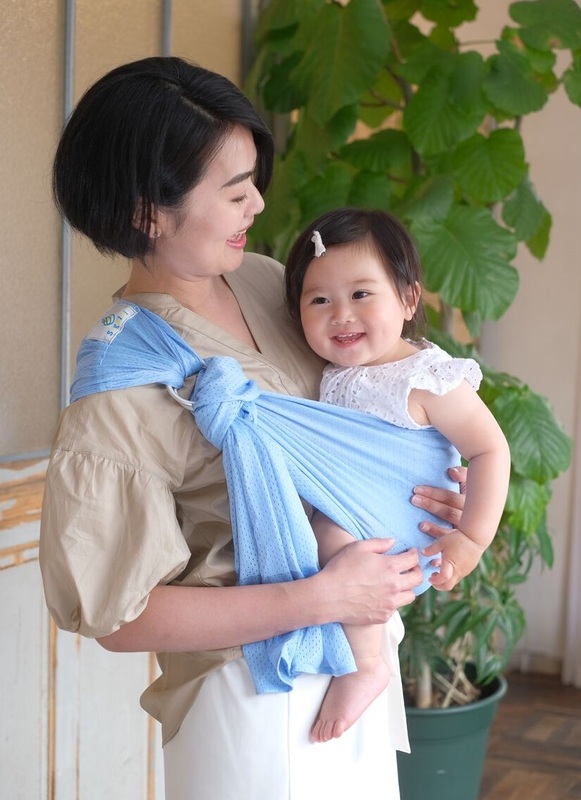 SUKKIRi weighs only 230g and it can be fitted snuggly into the pocket that is attached to the sling. It is convenient to carry and it can fit in your diaper bag. The two aluminium alloy rings can withstand weight more than 150kg. It is light and small, yet allows secure and easy adjustment of the sling. The sling spreads evenly over your shoulder and distributes the weight to Deltoid muscle, preventing stiff shoulder. The all mesh material is very soft and it can also release body heat effectively. It supports correct positioning of baby-wearing: C-Curve and M-position.